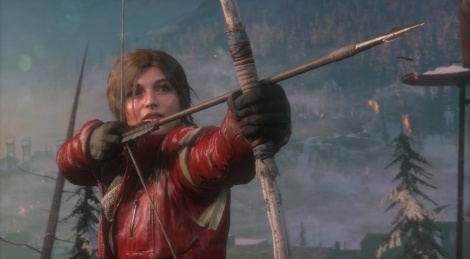 Gary Snethen, Chief Technology Officer at Crystal Dynamics gives details regarding how the studio and Nixxes Software brought new enhancements to Rise of the Tomb Raider: 20 Year Celebration for the PlayStation 4 Pro. A bit more details therefore about the 3 modes (4K Resolution, High Frame Rate et Enriched Visuals) along other enhancements. Jump inside for the 4-minute-long video at 4K and 30 Mbps. You should rephrase your request to say "Would be much appreciated if Square would provide a 4K60 version." Gamersyde only posts what is provided to them. They have no control over what quality is provided. Looking forward to checking it out when my PS4Pro arrives on the 10th. I can't capture any 4K videos, but I can capture 1080P 60fps videos, so I'll see what I can do. With the enhanced visuals mode, I see a lot of aliasing. Maybe 1080p with enhanced visuals, supersample it. that's why he said it'd be much appreciated if they could eventually grab it. I guess we have to wait and find out. Aliasing is also pretty visible on PC, even when maxed out (which tends to kill the frame-rate). That it definitely won't be, because as powerful as the PlayStation 4 Pro is, it's not at the level of a GTX 970/980/Ti. Even if you do use the 1080p@30fps "Bells & Whistles" mode, it still wouldn't be at Ultra settings with the highest Anti-Aliasing method - not to mention the physics simulation with TressFX Hair at the highest setting. 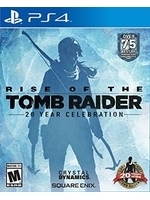 BUT... maybe Nixxes and Crystal Dynamics made voodoo magic of some sorts and it worked. As for them looking like "bullshot" PC screens, I can tell you that the game looks gorgeous on PC most of the time with the default graphics, but even so a lot of those screenshots were taken with ReShade, SweetFX, ENBSeries, or GeDoSaTo post-processing programs that enhance the image quality even further while still being completely playable (@60fps or higher). Though these programs are also another reason why the PlayStation 4 Pro version won't look as gorgeous as many of those screens. That's one of the beauties of PC gaming, you can customize and enhance most games' graphics as you see fit. Mafia 3 for example, with a simple ReShade makeover looks far better than with the default filters and effects, Driftwood posted videos of the PC version with both default graphics and with the ReShade filters, so you can compare them if you want. The Witcher 3: Wild Hunt is also another example, there are many ReShade settings that make the graphics look as beautiful as the E3 2014 trailer or even better than that. Someone posted great images of TW3 in one of its articles here on Gamersyde well worth checking out. Yeah I understand your point Sdarts and i dont disagree with it. I guess as long as the quality of the image is much sharper than it really is but still able to hold a steady FPS im good. Almost all press got a ps4 pro by now but i think the embargo is on Monday. all new visual modes, same garbage new-age franchise. I'm guessing you didn't like the reboot games, lol. I actually really enjoyed the first one but rise not as much even though its still a good game. Soon, not likely. We didn't get a console with Sony. From what I've been told, they had very few of them for France, so clearly they gave them to the bigger sites. Maybe they'll get us one eventually, but it'll be too late and I will most certainly have bought one myself already (which is why I said there won't be videos when the embargo lifts). It's a shame indeed, as no one in France but us can provide 4k quality videos. By the way, if it's any consolation, we now have a 4k capture card.